I like getting things through the post. Maybe that's why I sign up to get free stuff, and why I've ended up signing up to taking part in two vegan boxes a month. Although they are different types of boxes - that's my justification and I'm sticking to it! 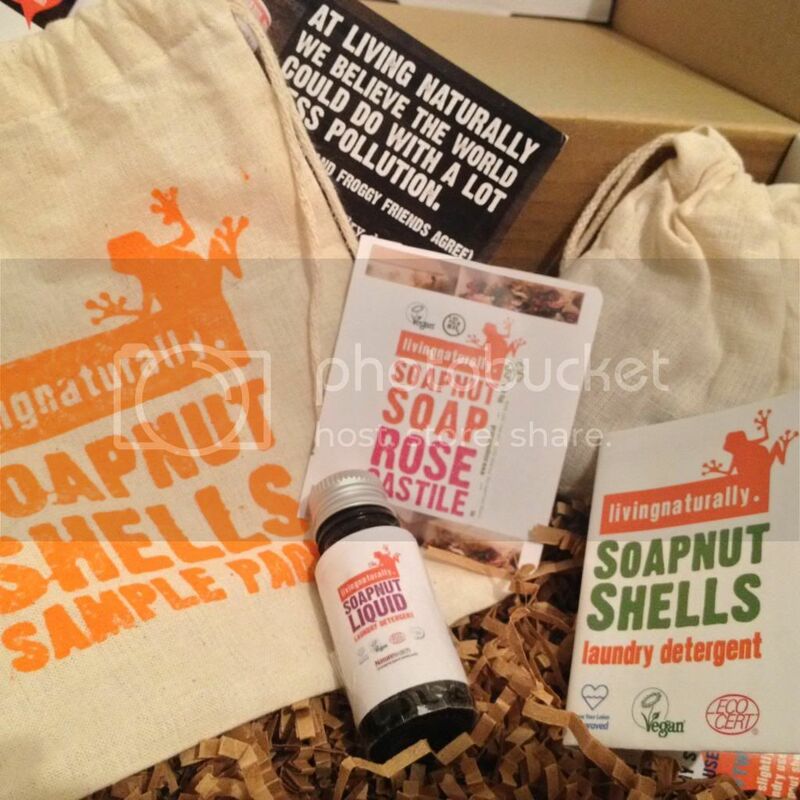 Anyway, this new box is being run by The Vegan Kind, and it's being marketed as a "lifestyle box". There are other boxes around that seem to concentrate on one thing like food, treats/snacks, beauty, etc. 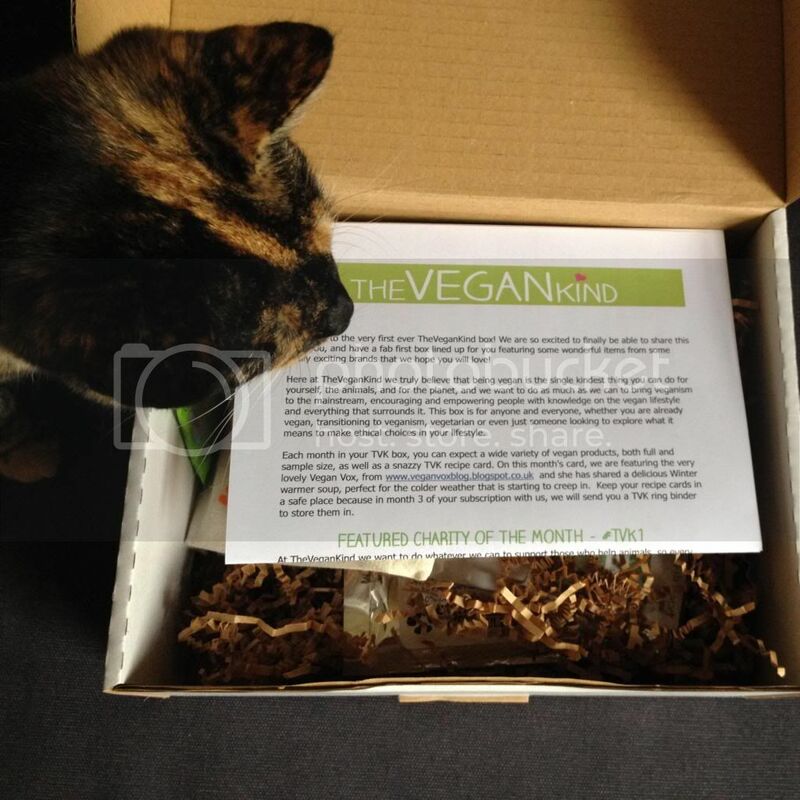 However, Vegan Kind's box has a little bit of everything and the idea is to provide you with things you may not have heard of or tried before. I think it's a great idea! There are so many products out there (and let's face it, sometimes vegan/ethical products can be pricey) that it's hard to know which products to try without wasting your money. So for £10 (plus £2.95 postage) per month, you can have a selection (5-8 products) of goodies to try, AND the retail value is guaranteed to be more than £10, so you're saving money and hopefully discovering something new at the same time! It arrived in a pretty white package - delivered by Royal Mail which meant I could collect it whenever I wanted instead of the postie disturbing my neighbours. The cats were straight in there to see if there was anything for them! Once I finally got to have a look at my box, I discovered a whole host of goodies. There was a welcome letter, recipe card, and a leaflet explaining each item in the box (and also containing some discount codes from certain featured companies!). Some of these I had heard of before, one I'd sampled, and some I've never heard of! First to go were the sweets from Goody Good Stuff. I like their sweets and have tried a few different ones - the fizzy cherries got munched before I got around to taking a photo of them - oops! The other products I had already heard of were the Salt of the Earth deodorant, Clearspring Miso Paste, and the Soapnuts. 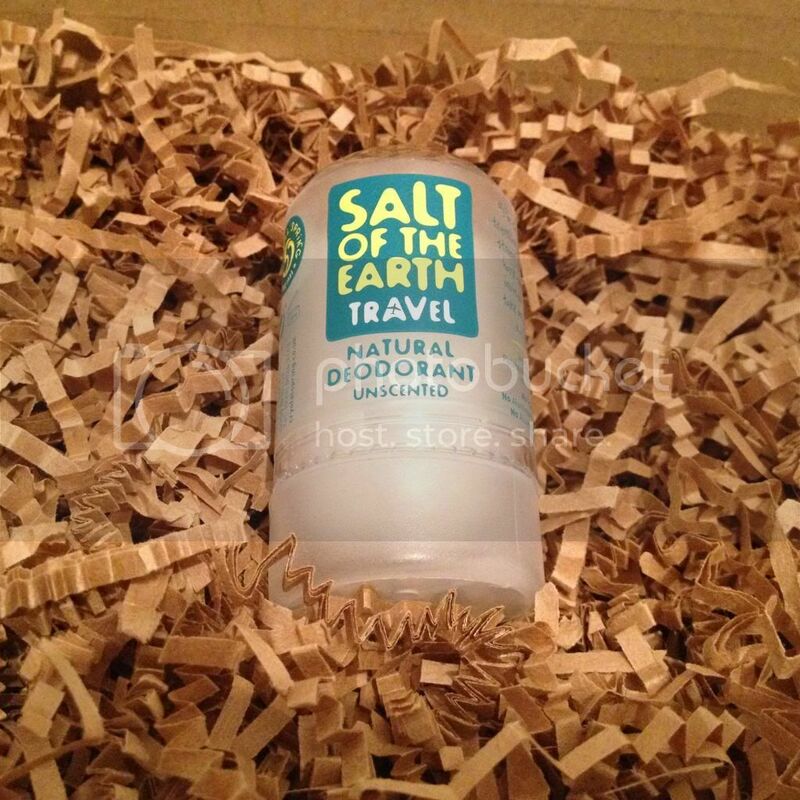 I've wanted to get hold of some of the Salt of the Earth deodorant for a while. I've used a similar one before, but where the one I had previously was some crystally things in a container, this is a big stick of crystal which leaves a thin layer of mineral salts on your skin. It's a handy travel size too! 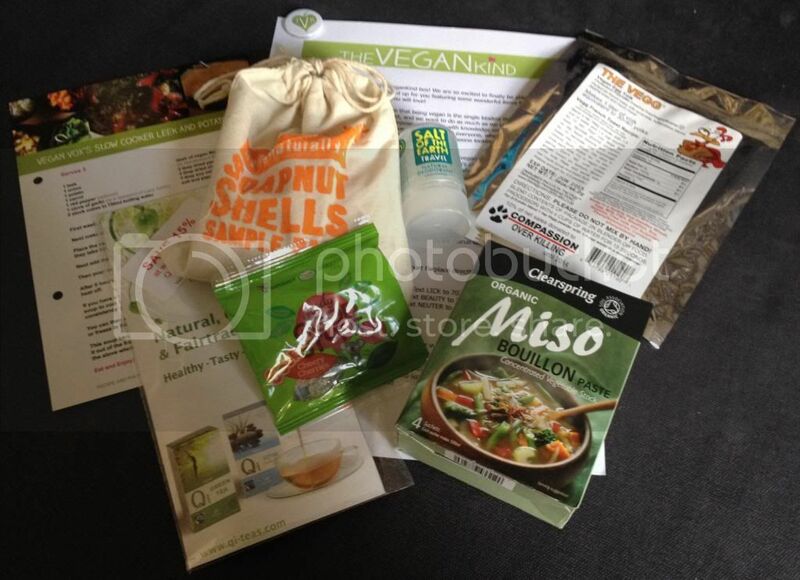 The Clearspring Miso packets are something I've seen before but not used. 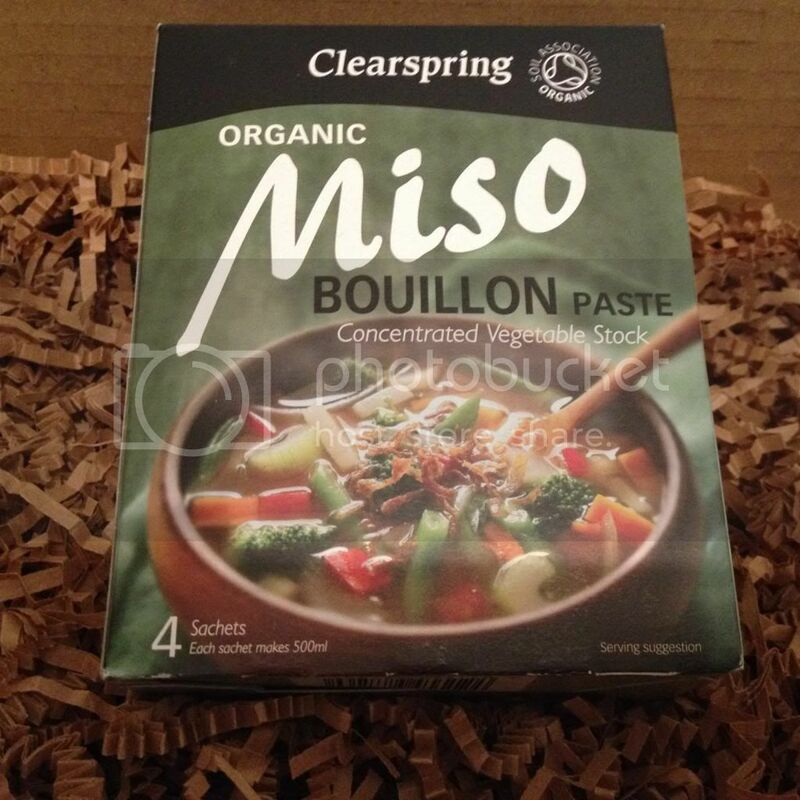 I do buy Clearspring Miso but I usually buy the big jars of paste as they can just sit in my fridge for ages - they don't seem to go off very quickly. It will be interesting to see how different this variety tastes as we usually buy the brown miso. I've been trying to find a good, natural, eco-friendly, vegan range of laundry detergent / household cleaner for ages. I'm currently using Ecoleaf for cleaning the house, and I'm happy with that but I've been struggling to find a laundry detergent that I like. We bought some balls that you fill with pellets and they were great for a while but then our clothes started to smell musty even though we changed the pellets in the balls. I've also had some funny scented eco-friendly liquids that we weren't too keen on. 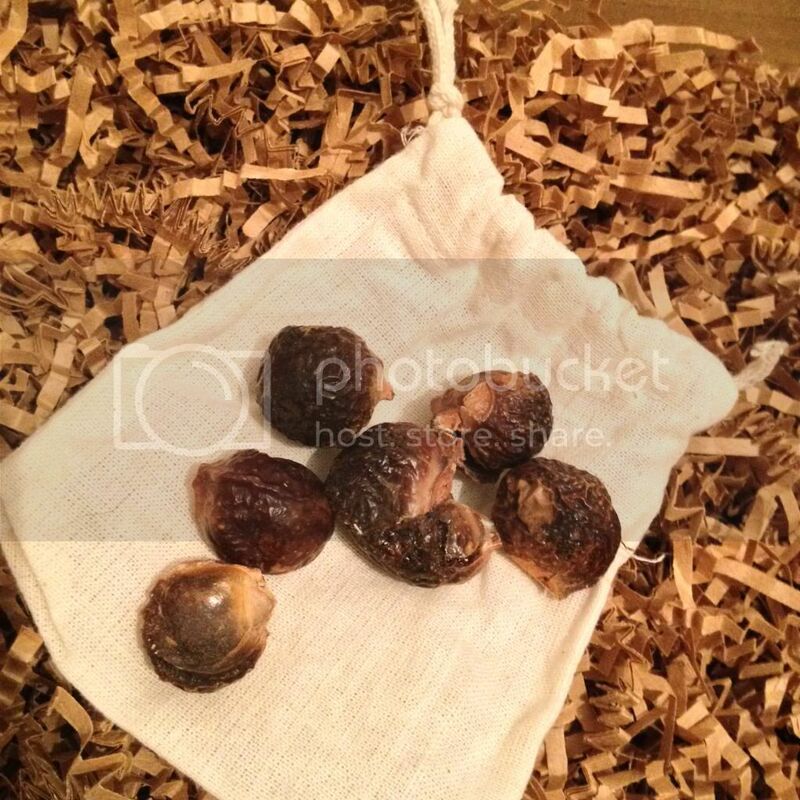 I had previously heard of soapnuts but never sought them out to try. 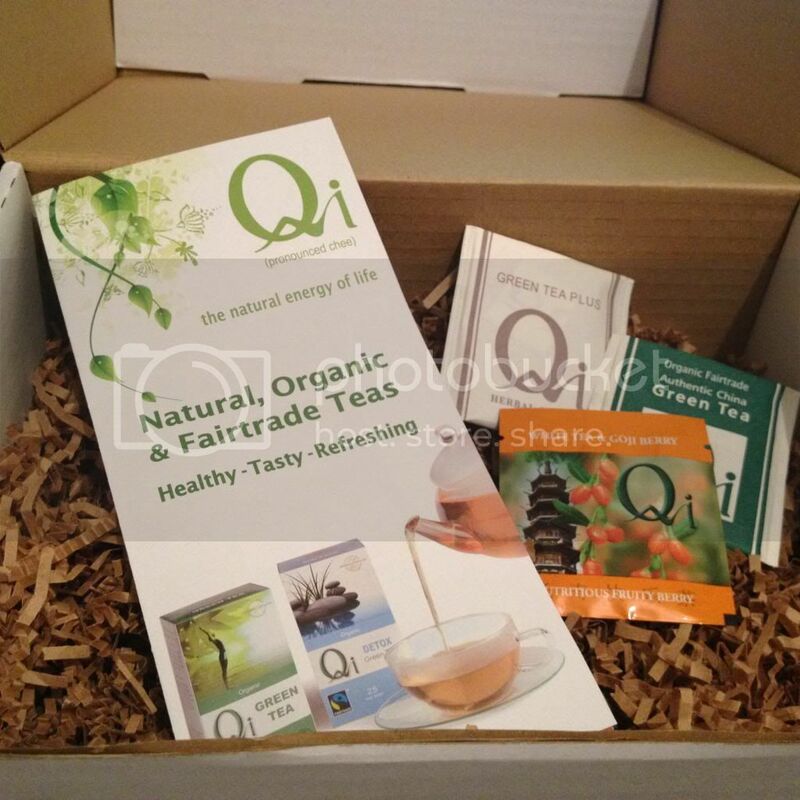 So it's handy that I've got a sample pack through my box - fingers crossed they will work out and I can buy some more! As for the other stuff, I'd not heard of any of it before! 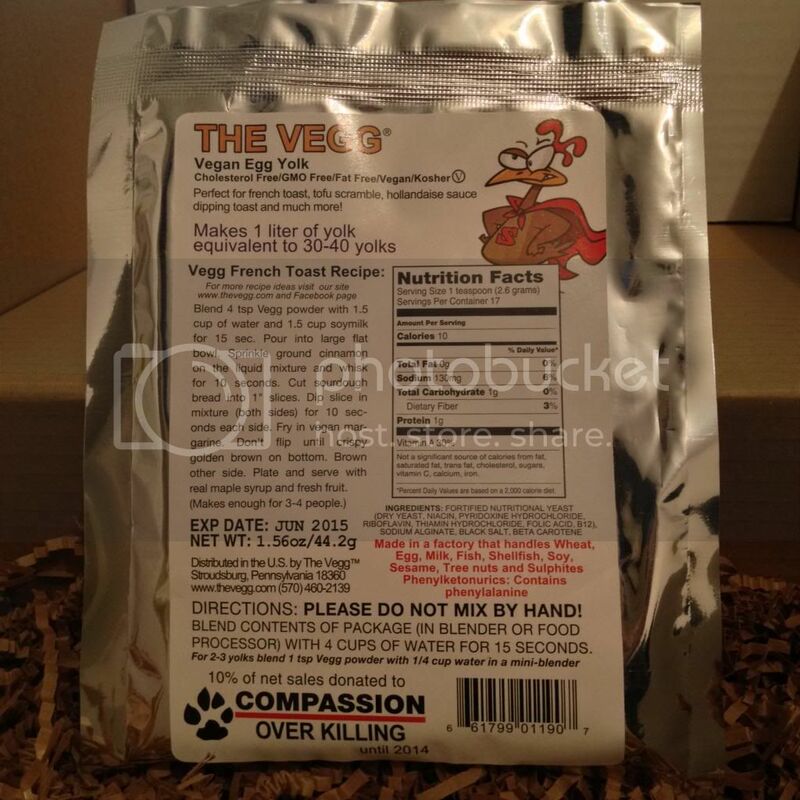 The Vegg is an egg yolk substitute. I don't often go for egg substitutes as I've had mixed results in the past. I find I don't need to use a shop-bought egg substitute for baking, and when I tried to make meringues with the egg white substitute I bought they came out tasting like cardboard! However, this stuff will apparently make plant-based "egg yolks" that have the actual taste, texture, smell, etc of real egg yolks. I'm not entirely sure how I feel about this as the thought of eating eggs isn't something that I'm comfortable with - I'm not sure if it will be a bit too real for me? But the picture I've seen of the "scrambled egg" that has been made with this stuff looks amazing. So I'll probably stick to the stuff that doesn't look like eggs, even though there is a video on their website showing you how to make a spherical egg yolk to use in your cooking if you so desire. I want to like the idea of trying to do this but I can't seem to get my head around it. It will be interesting to see how this stuff works though - I'm thinking I might try using it to make quiche or something along those lines. And proper french toast (even though the recipe we usually use is lovely). 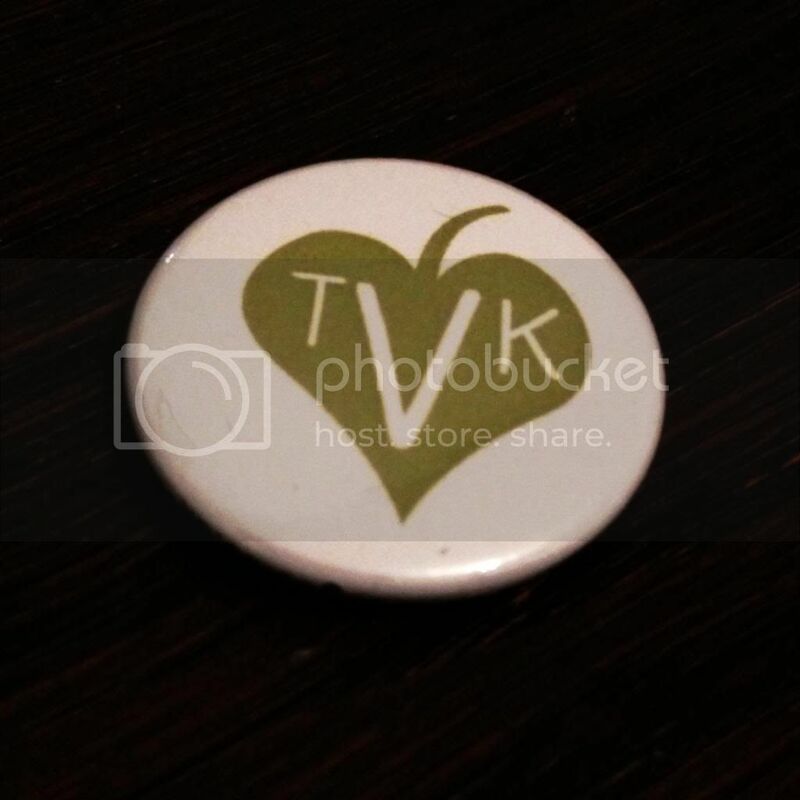 And the badge is pictured right at the top of my blog! So all in all I'm very happy with my box. The RRP for each item is listed on the info sheet. If this was all bought separately, it should have cost £15.28 - not bad going for a tenner then! I will definitely be continuing with my subscription to see what other hidden wonders await me! Big thanks to The Vegan Kind for putting this together!